Born and raised in Rockhampton (the “Beef Capital” of Australia) Blair has many strings to his bow ranging from wildly colourful comic characters to MC services to innovative corporate concepts and events including the famous 'Braincrackers Team Quiz'! In various previous lives, Blair has worked in many “public contact” jobs ranging from cinema usher to hotel receptionist where he realized his talent for training, teambuilding and motivation of others (and keeping workmates entertained during the tedious hours of shift work). Always noted for his ability to call up the most arcane list of facts, figures and quirky stories, Blair was a champion on the Australian production of the well-known TV quiz show, “Jeopardy!” (hosted by the legendary Tony Barber) in early 1993. 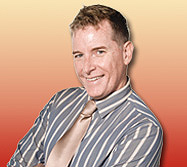 However that was a mere warm up when in June 2007, Blair became the 6th Grand Champion of the hit Channel 9 quiz program "Temptation". 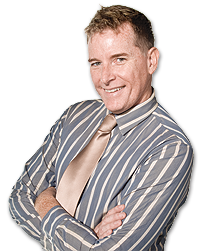 In 2008 Blair marked the double milestones of SEE’s 15th anniversary and his 20th anniversary as a professional actor and proud member and of the Media and Entertainment Arts Alliance (Actors Equity Section), where he is also a member of the Queensland State Council. Always want to be the one that knows “something else” before anyone else? Then, sign up for our newsletter and be amongst the first to know about upcoming events and things of interest!